Another pretty standard mystery themed quiz. Nothing should require any specific instructions. What author of The Age of Reason and Rights of Man had only six mourners at his funeral in 1809, due to his criticisms of Christianity? In what song does Paul, the real estate novelist, appear? What competition did Al Unser win 3 times in the 1970s (and once more in the 80s)? 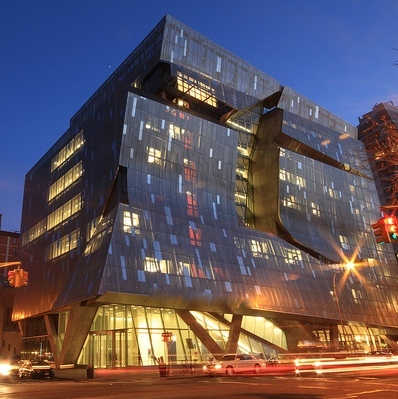 The building in this image is part of what college in New York City? Fill in the blank in the following sequence: H. sapiens, Homo, Hominidae, Primates, ___________, Chordata, Animalia, Eukaryota. What capital city’s airport was renamed in 2001 in honor of Mother Theresa? What early sportswriter, known as “the father of baseball,” is credited with creating the modern box score, as well as the statistics of batting average and earned run average, among other accomplishments? What group, founded in France in the early 13th century, is also known as the Order of Preachers or the Black Friars? What does entrepreneur.com define as “An organization designed to accelerate the growth and success of entrepreneurial companies through an array of business support resources and services that could include physical space, capital, coaching, common services, and networking connections”? What two names are missing from this list: Jonathan Knight, Joey McIntyre, Danny Wood.